A chair that shouts ‘let’s stay home’; so comfortable, you wouldn’t want to leave the chair or home. Made of metal with fabric upholstery, the grey and brown combination lends itself well to different kinds of home décor. 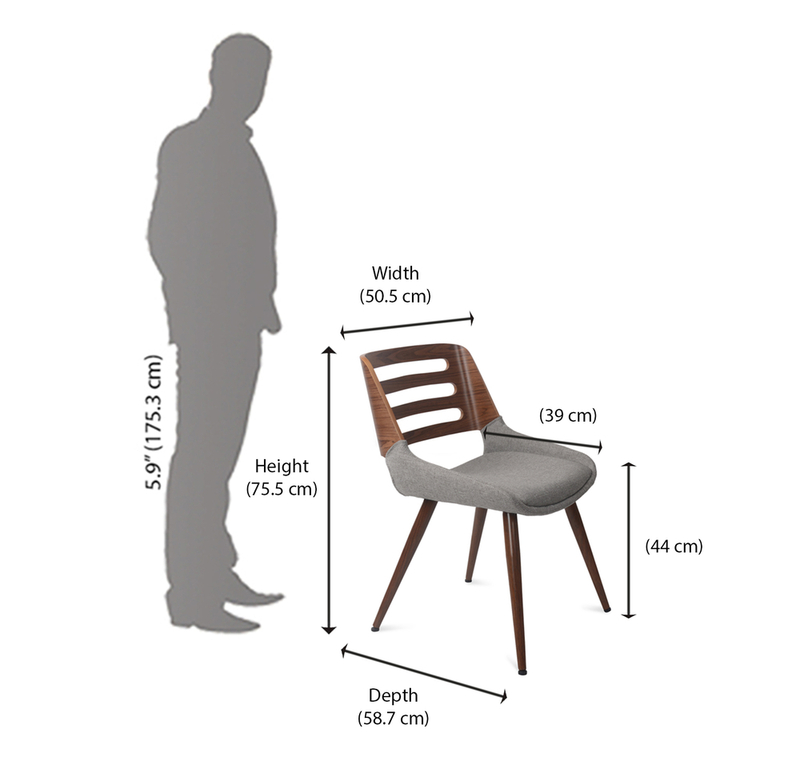 What is more, it can be used as living room seating and is equally comfortable when used as a dining chair. Its simple and smart design lets it mingle with all styles of furniture- contemporary, urban and modern.